Our first set of books have been chosen from Iran’s children’s literature. Below our Iranian editor Ali Seidabadi explains the process of selecting the 10 books. Most of these are from recent market, some are being published in Iran and by us in the UK simultaneously, and some are classical books. We believe they will add new knowledge in the field in here and will bring a fresh air. 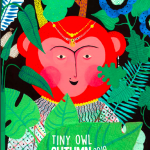 “Tiny Owl Publishing in London is going to publish the English translation of a collection of great picture books from various countries. Choosing and editing Iranian books for this collection has been entrusted to me. In order to familiarise myself with the characteristics of children’s books in English-speaking countries, not only did I make a study, but I also consulted experienced professionals in the field of children’s literature. Then I first selected and re-read more than 90 Iranian picture books that were published by the private sector in Iran in different years and that were acclaimed by independent literary organizations and critics. Subsequently, I narrowed down the list to the best ten among these titles. 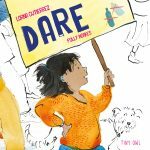 I think the books on the final list not only possess strong literary and artistic merits, but also have Iranian ambience and will acquaint British children with the language of a new sphere and introduce them to a fresh outlook. 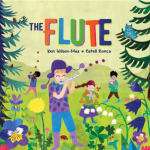 I am certain that although English-speaking children will have no difficulty in relating to these books, the books are not similar to the ones published in their countries but rather open new doors to a different world and create amazing experiences for the readers. 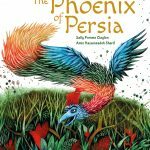 The chosen books are written by authors and illustrated by illustrators who have won important awards in Iran and in some cases internationally. The illustrators have especially been noted in various international contests and have received awards. I have endeavoured to include authors and illustrators of different generations in this collection, but the majority belongs to today’s prominent Iranian writers and illustrators.